Investigating how design research approaches can contribute to guiding the intensification of Australian cities. 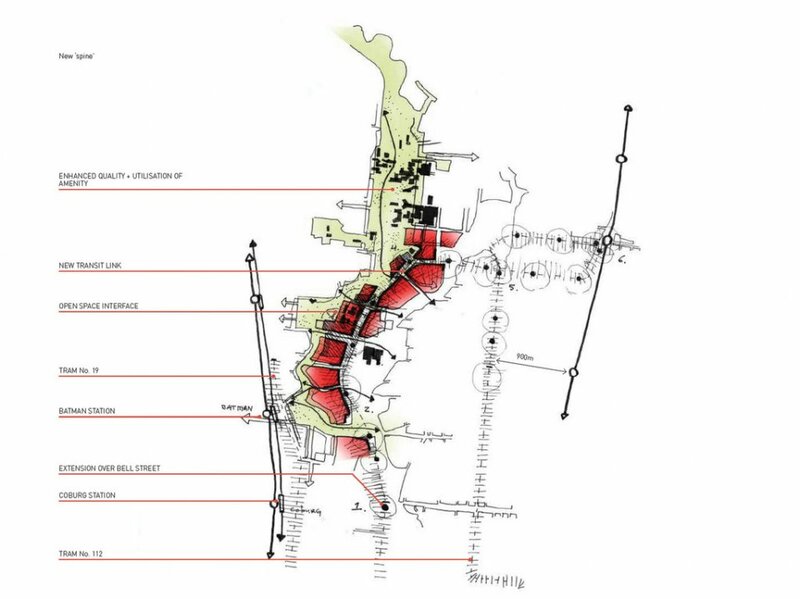 Transit corridor intensification examining how a mix of uses, scales and types of built form can address conflicts between public, private and commercial movement patterns. Image by MAS. 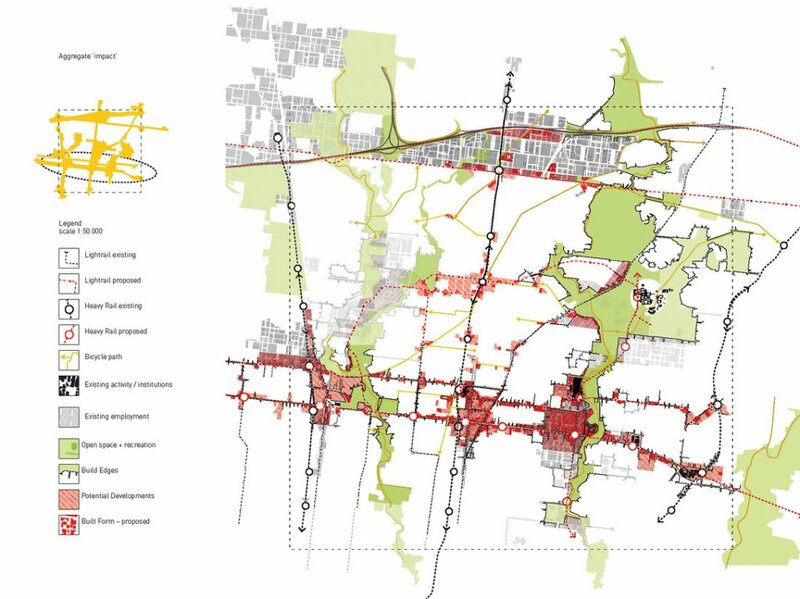 This project looks at the most significant urban design challenge facing Australian cities: the transformation necessary to meet the pressures of population increases and reducing carbon emmissions and resource consumption. Intensifying Places develops and tests a range of design frameworks and visions for the urban intensification in Melbourne. 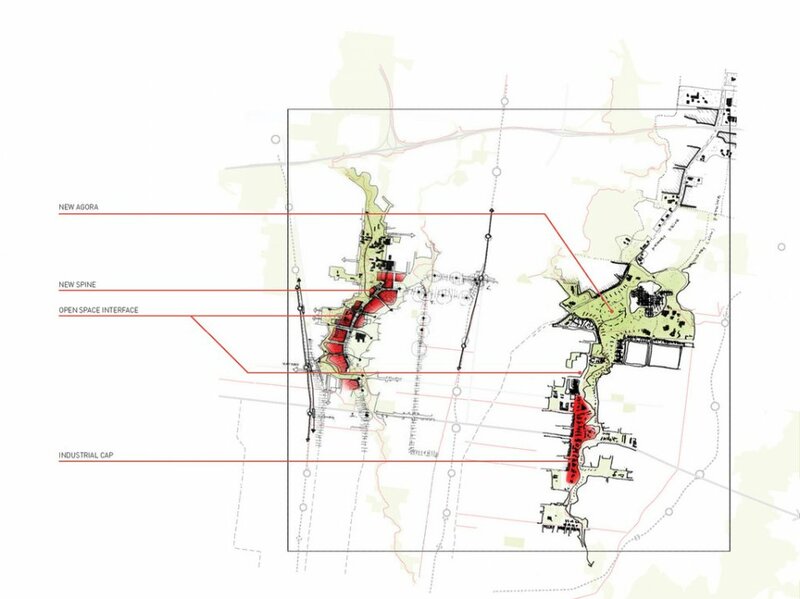 The focus is on transit-oriented development and how design quality can impact on the interface between intensified places and surrounding suburban neighbourhoods. 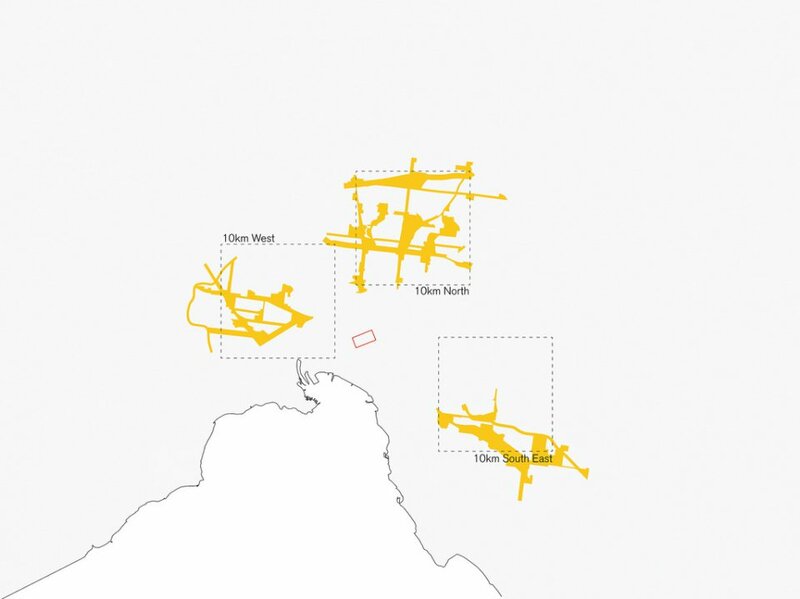 The project investigates and simulates a series of scenarios in the Melbourne metropolitan area, exploring a range of building types, morphologies and design approaches. These design scenarios have been tested for community resistance, market viability and forms of urban governance. Sectional diagram examining built form and street/ground level opportunities resulting from the under-grounding of train lines. Image by MAS. 10km urban assemblage generated through the layering and aggregation of different integrative development approaches within each urban constellation. Image by MAS. 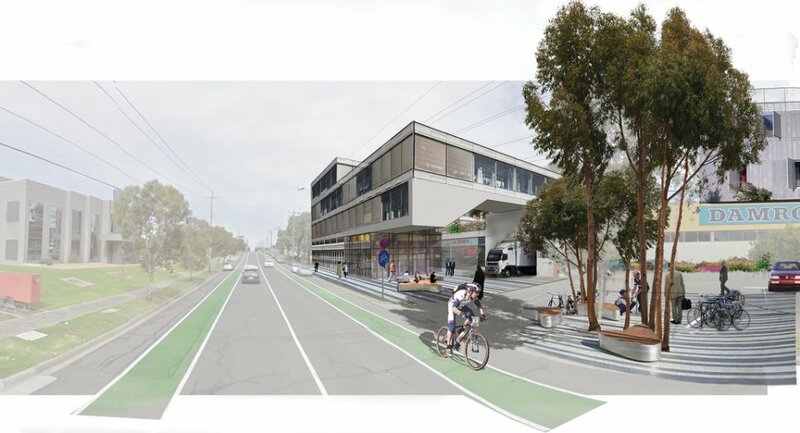 Perspective montage investigating potential strategies for re-inventing ‘big-box’ retail and industry buildings along major arterials. 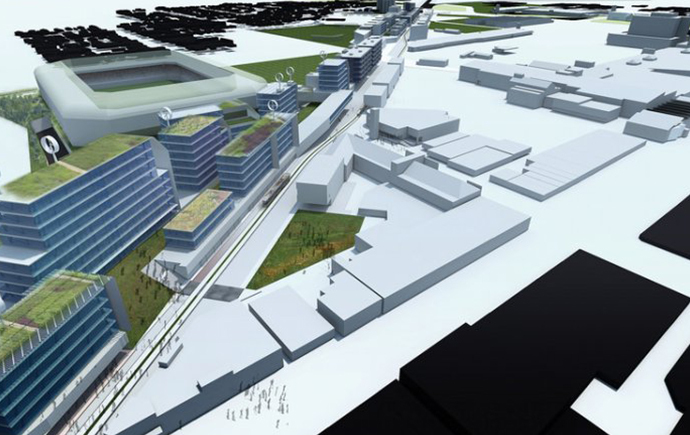 What kinds of urban renewal models can reinvent redundant industrial building forms to achieve higher levels of utilisation while retaining skills and employment in the area? Image by MAS. New urban assemblages in Greater Metropolitan Melbourne. Image by MAS. ‘Industrial Spine’: this spatial intervention fills the gaps generated in urban networks by large privately owned properties. Image by MAS. 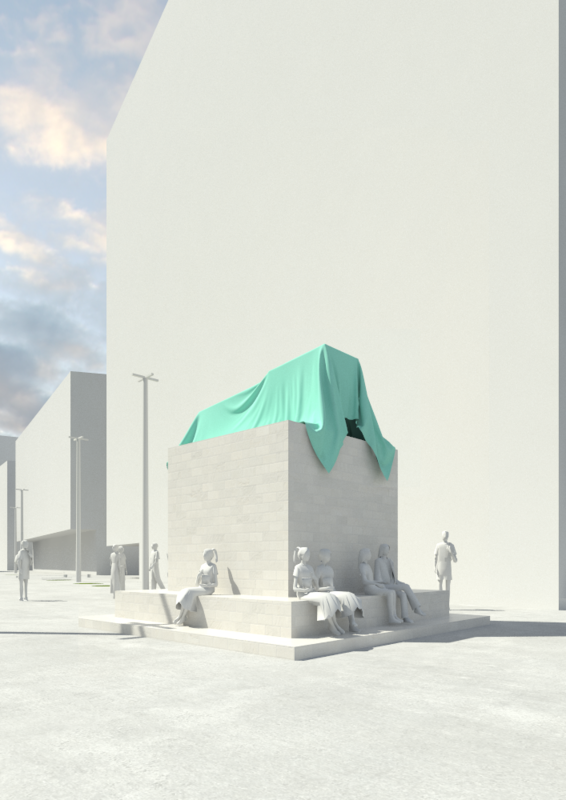 New and diverse urban interventions stitch existing urban landscapes and systems together to create new types of trajectories and movement patterns. Image by MAS. Testing development scenarios in a ‘flanked corridor’ operating on a broader fabric between two parallel transport lines – tram or train. Perspective. Image by MAS. Perspective montage depicting how different grains and types of mixed use development could promote multi-modal connections through big box activity centres as shopping malls, transforming the urban environment along existing vehicle highways. Image by MAS.